Here’s my bike. It’s not my bike, but it’s the bike I drew. 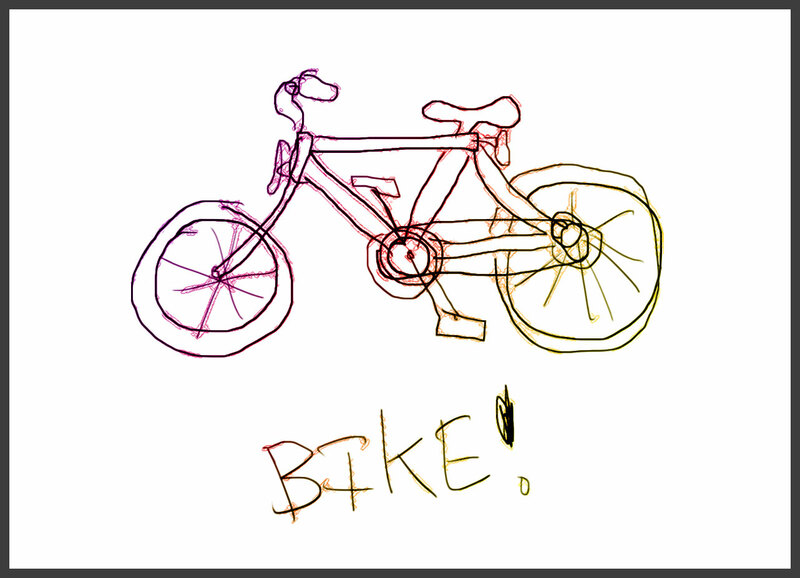 I read the Drawing a bike from memory post on Boing Boing and filed it (without looking at any drawings) until I got a chance to pull out the drawing tablet. I really enjoy this type of creative challenge, and as always, I need to make more art… or at least, make robots that make art. Posted on Friday, February 25th, 2011 at 8:00 am. Subscribe to the comments feed. Both comments and pings are currently closed. Post on your own blog.